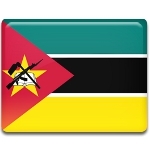 Revolution Day, also known as Armed Forces Day, is a public holiday in Mozambique celebrated on September 25. It commemorates the day the Mozambican War of Independence officially started in 1964. Portugal began to colonize Mozambique in the early 16th century. The colony was known as Portuguese East Africa or Portuguese Mozambique. In the mid-20th century, anti-colonial ideologies began to spread across the African continent, and Mozambique was no exception. In 1962, a group of nationalists founded the Mozambique Liberation Front (FRELIMO) to fight for the independence from Portugal. On September 25, 1964, FRELIMO launched its first offensive against the colonial authorities, starting the Mozambican War of Independence. The war lasted for almost ten years. The anniversary of its beginning was designated as Revolution Day and is an official holiday. Mozambican Revolution Day is widely celebrated throughout the country. It is marked with parades, singing and dancing performances, special church services, sports games, and other festive events and activities. On this day, Mozambicans also honor the country's Armed Forces that were formed in 1994, following the end of the civil war.